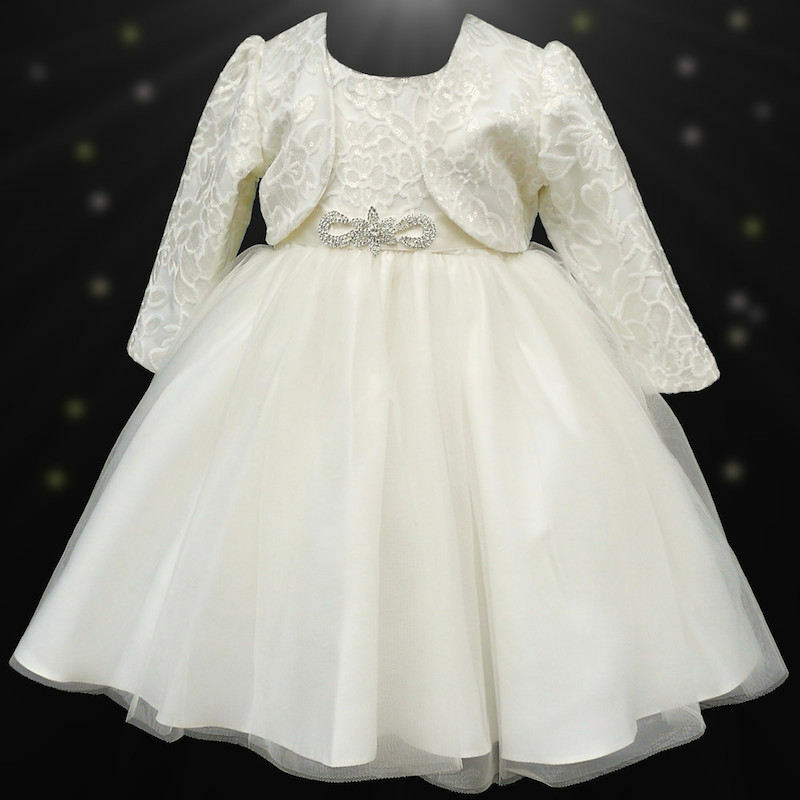 Girls ivory sequin & brooch organza dress with matching bolero jacket, a luxury dress for a flower girl or young bridesmaid. Dress: This ivory dress has a fully lined bodice with an embroidered floral sequin overlay. 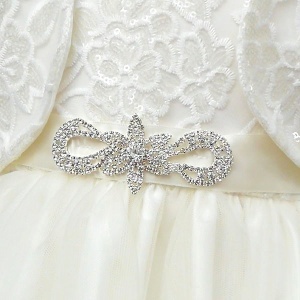 A sparkly diamante brooch sits on a satin sash to the waist that beautifully ties at the back into a bow. 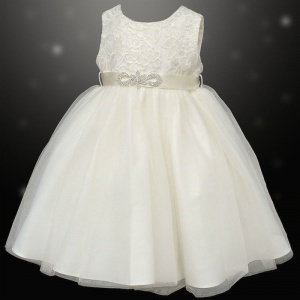 This dress is sleeveless with a discreet zip fastening at the back. 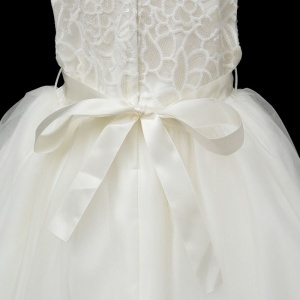 Two layers of straight organza tulle with a satin underlay, complete with net and lining. Bolero: Matching long sleeved bolero with an embroidered floral sequin overlay. Perfect compliment to the dress.